What is the Vessel’s ability to demonstrate history in her physical fabric? 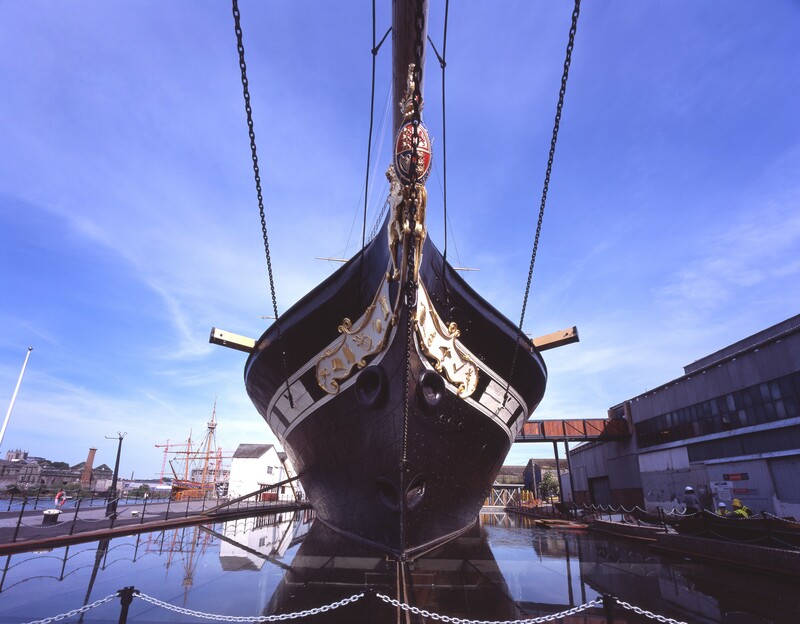 Launched in 1843, ss GREAT BRITAIN is of outstanding international significance in view of the technological advances expressed in her structure, machinery and fittings. 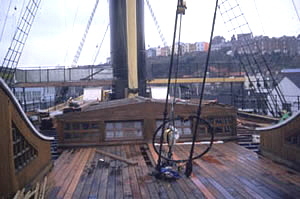 The hull, which remains substantially complete from the time of her construction in Bristol, is of wrought iron riveted plates on wrought iron frames, and at the time was the largest iron vessel ever built, the largest ship in the world, the first large screw-propelled ship, and the first trans-continental vessel to be designed to operate to a timetable. In addition to the hull, the tubular riveted iron main yard from the original configuration also survives and is displayed alongside in the ship’s museum. The masts and spars are reconstructions of the original transatlantic fore and aft configuration with only 2 square sails on the foremast. This rig was designed to assist passage making by allowing the ship to sail close-hauled into the westerly winds. 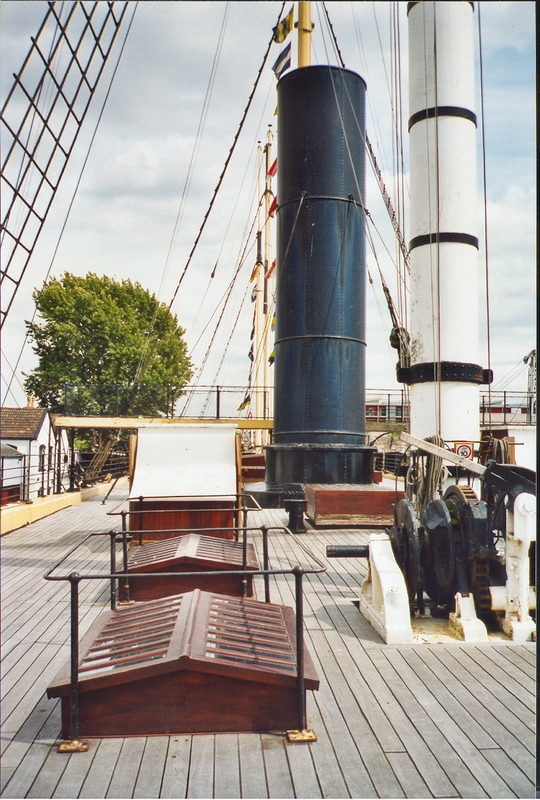 Brunel’s design incorporated the after masts being hinged at deck level, and these form part of the faithful extreme reconstruction of the 6 masted sail plan. 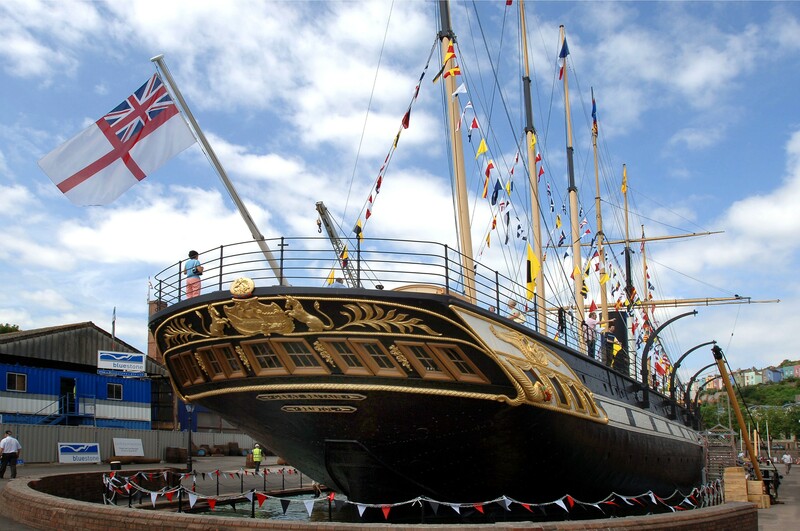 The ship is displayed with a replica of Brunel’s first 6-bladed propeller in place. 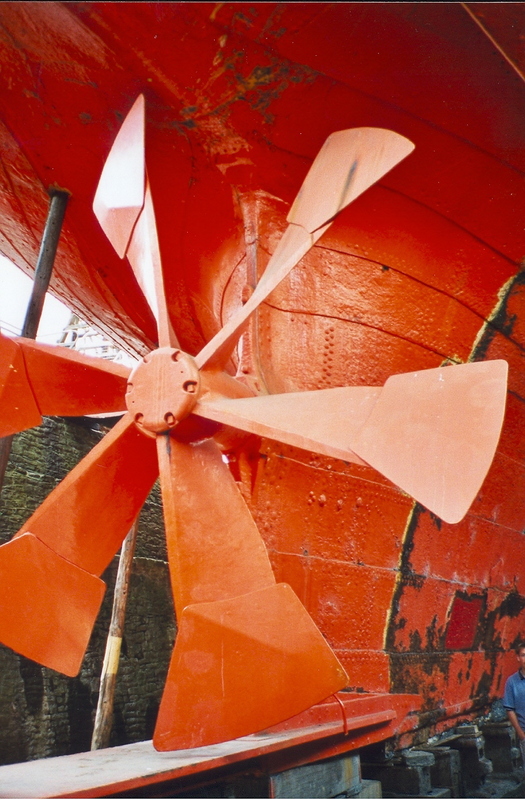 The later lifting propeller gear from her sailing period is on display in the associated museum. The interior of the ship has been reconstructed and replicated to the highest research standards using primary sources to interpret different parts of the ship at particular times in the vessel’s long life. The promenade deck, adjacent cabins, and dining saloon have been replicated to represent what was there in 1843. The original steam engine and chain drive have been replicated and, along with the ship’s galley, are from that period too. 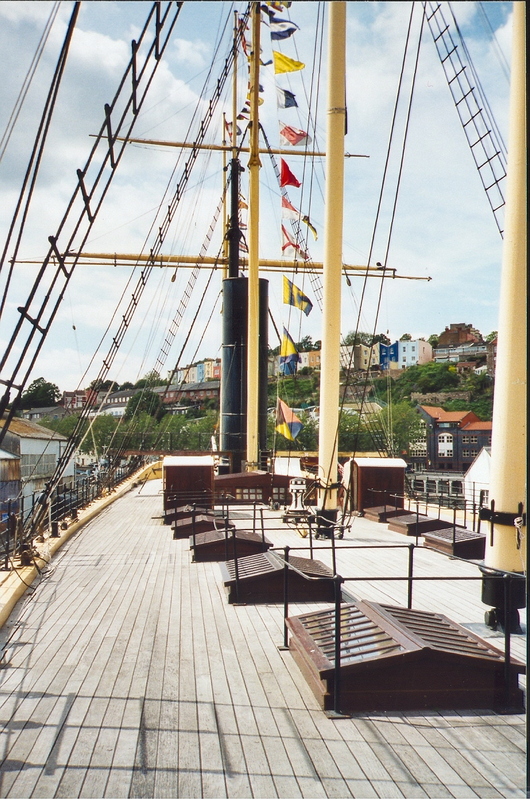 Portside accommodation is presented at the time of the Crimean War, when ss GREAT BRITAIN acted as a troop ship, whilst the forward accommodation is a reconstruction of the steerage accommodation from her time as an emigrant ship, based on contemporary plans, drawings, accounts and diaries. 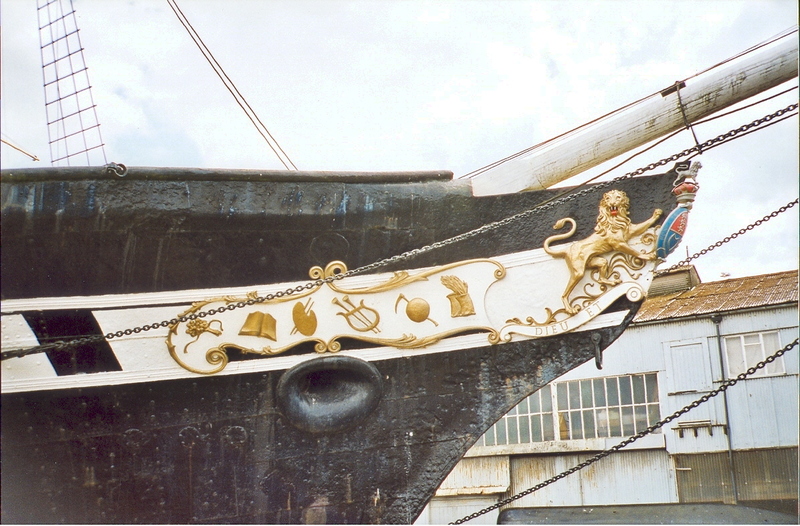 A forward section of the hull incorporates a display of the ship carrying horse during the Crimean War, whilst the very fore-most area of the hull has been left unreconstructed to show the original form of the frames and hull plating. 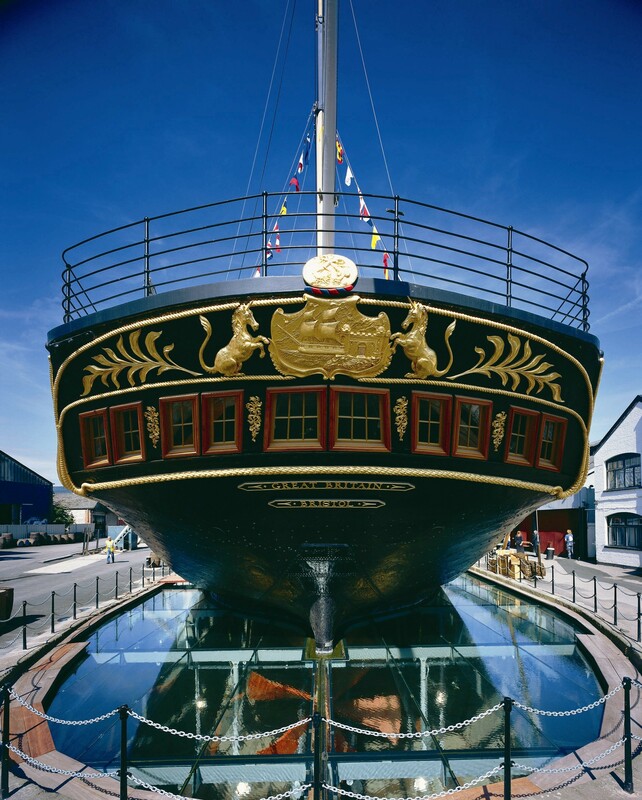 The conservation and reconstruction of ss GREAT BRITAIN has been predicated on 2 key principles: accuracy, and the capacity to accommodate and encourage activities involving visitors of all ages and backgrounds within the ship, on deck, and where possible engagement with the ship’s rig. What are the vessel’s associational links for which there is no physical evidence? ss GREAT BRITAIN's associational links are very wide-ranging. First and foremost she is the brain-child of IK Brunel, whose impact on engineering and travel is of international significance. The ship was originally conceived as the logical extension of the Great Western Railway in which Brunel was a prime mover. After her stranding and recovery from Dumdrum Bay (Ireland) the ship was bought by Gibbs Bright & Co, whose principal, William Gibbs, was instrumental in financing and backing the building of the Great Western Railway, and who built the remarkable Tyntesfield House near Bristol, with its own private rail stop on the Great Western line. William Gibbs was also present at the opening of the Clifton Suspension in 1864, five years after Brunel’s death. Contemporary accounts, paintings, illustrations and photographs record the ship’s associations with the Crimean War, her role as an emigrant ship carrying some 25,000 people to Australia, the carrying of special groups such as the first English Cricket Eleven, and her role as a depot ship in the First World War. How does the vessel’s shape and form combine and contribute to her function? 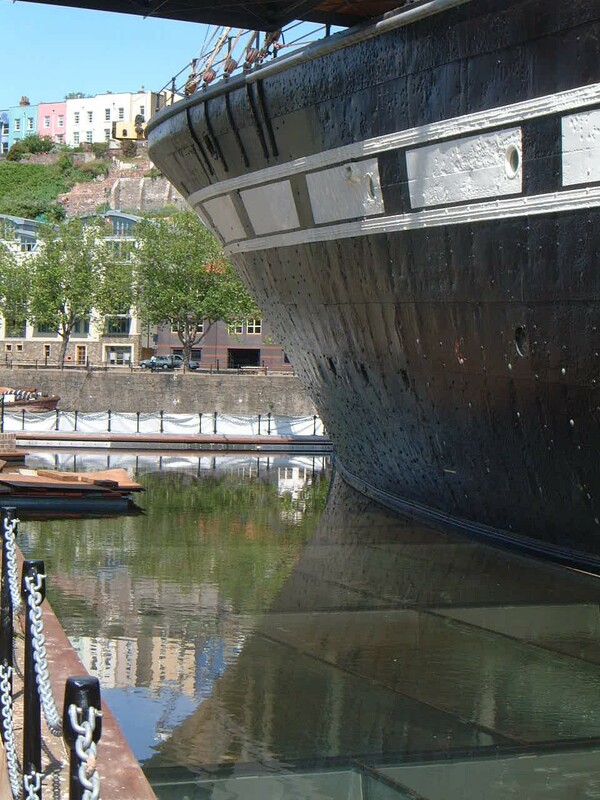 Specifically built to steam across the Atlantic, ss GREAT BRITAIN had to be of sufficient size and proportion to carry the necessary fuel to power the steam engine. This demanded the huge hull which Brunel designed in order to house engines, bunkers, supplies and the number of passengers needed to make the ship economically successful. All of this can be seen in the ship today. The specific sailing requirements for west-bound vessels are reflected in the fore and aft rig (see above). Internally the levels of accommodation reflect social differences, the demands placed on the ship as her function shifted over time, and changes in the legislation applied to passenger vessels. The reconstructed galley and steerage larder are of particular interest as reflections of different passenger status and expectations. 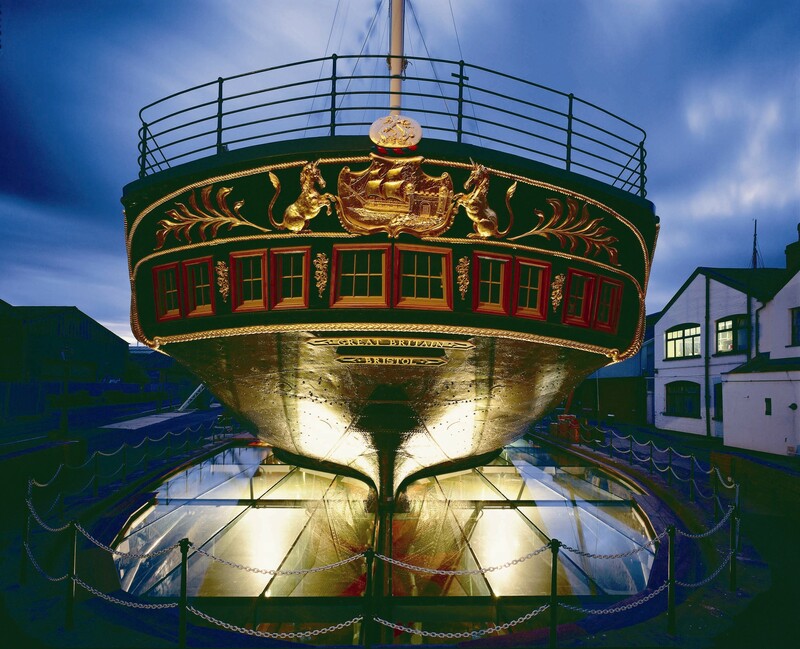 The ship has been very carefully and sympathetically adapted to meet modern museum standards of visitor access. In view of her outstanding significance ss GGREAT BRITAIN is listed in the National Historic Fleet of the National Register of Historic Vessels. 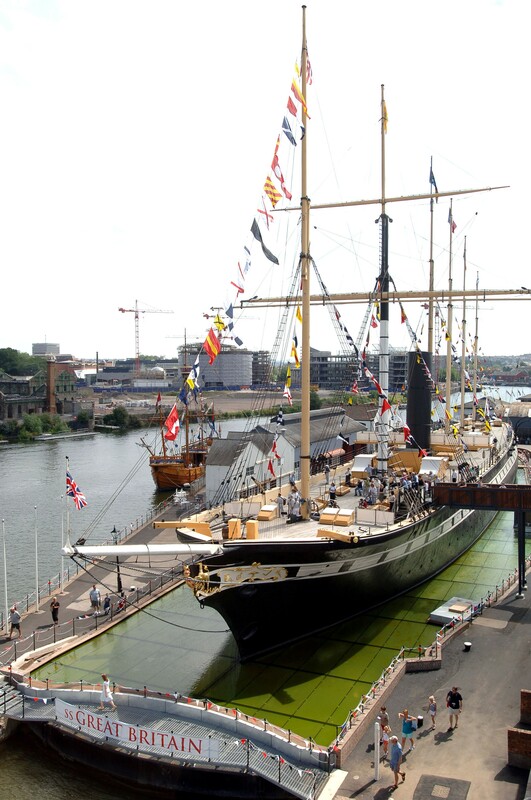 When she was built in the nineteenth century the ss GREAT BRITAIN was a bold attempt by a British company to break the American monopoly of the trans-Atlantic passenger trade. Launched by Prince Albert on 19 July 1843, she was the largest and most technically innovative ship of her day. Her first voyage to America began on 26 July 1845, and she covered 3,100 miles in 14 days and 21 hours. On the return journey, because of the loss of propeller blades, she used sail only, but still completed the voyage to Liverpool in 20 days. 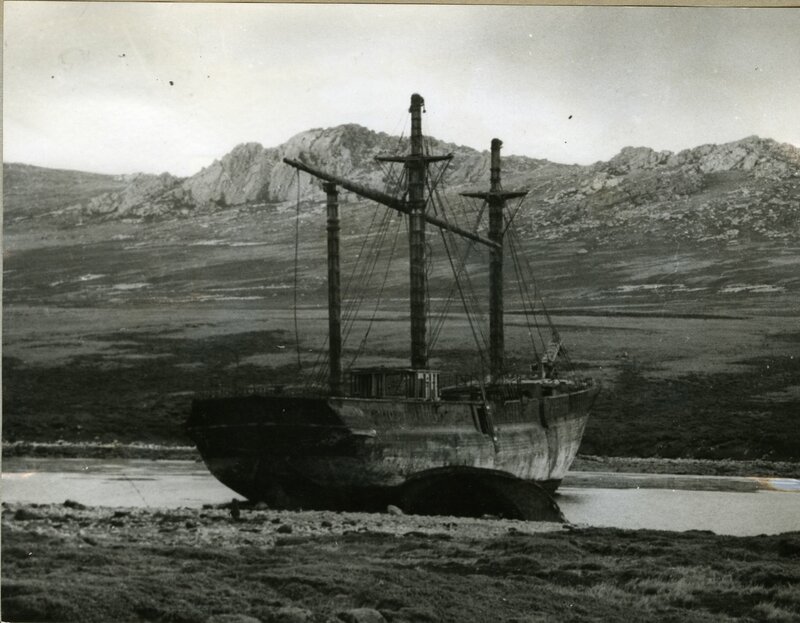 In 1846, however, on her fifth voyage, she ran aground in Dundrum Bay, County Down. It was not until August of the following year that she was refloated and towed back to Liverpool, and, in 1850, was sold to Gibbs, Bright & Co. for service to Australia. She was significantly altered at this time. In 1854, she was refitted as a troopship for the Crimean War and again in 1857 she carried reinforcements to Bombay to deal with the Indian Mutiny. Returning to the Australian run, she carried the first touring English cricket side. In 1876, she was put up for sale at Birkenhead, but not bought until 1882. Her new owners, Anthony Gibbs, Sons & Co. converted her entirely to a sailing vessel for transporting coal to San Francisco and returning with wheat. After two such voyages, in 1886, she was dismasted by a hurricane off Cape Horn and she put into the Falkland Islands. As repairs were considered too expensive, she became a hulk for storing coal and wool. On April 14 1937, she was towed a few miles out of Port Stanley to shallow water in Sparrow Cove; holes were punched in her bottom and she settled on the seabed. The organisation required to co-ordinate the task of recovery came into being in 1968, led by Dr Ewan Corlett. 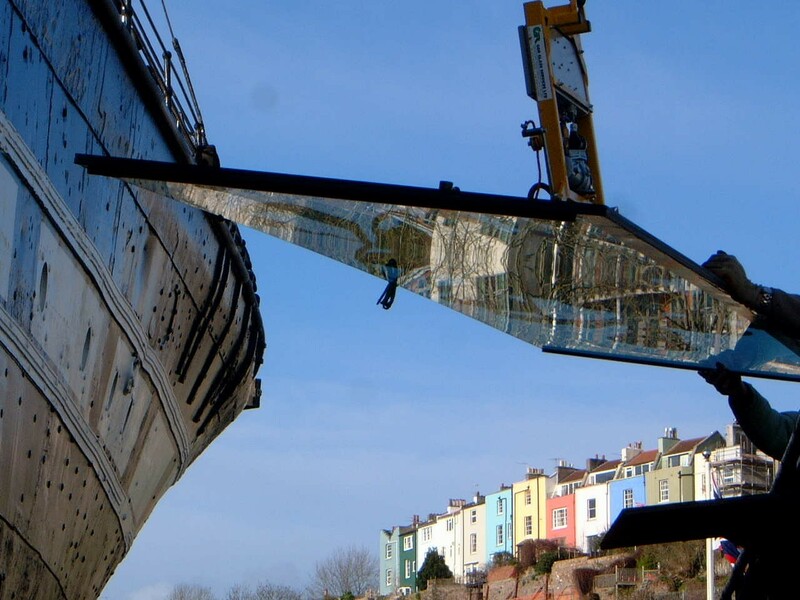 In April 1970, she was refloated, returning to her original dock Bristol in July that year where she underwent a major conservation programme. 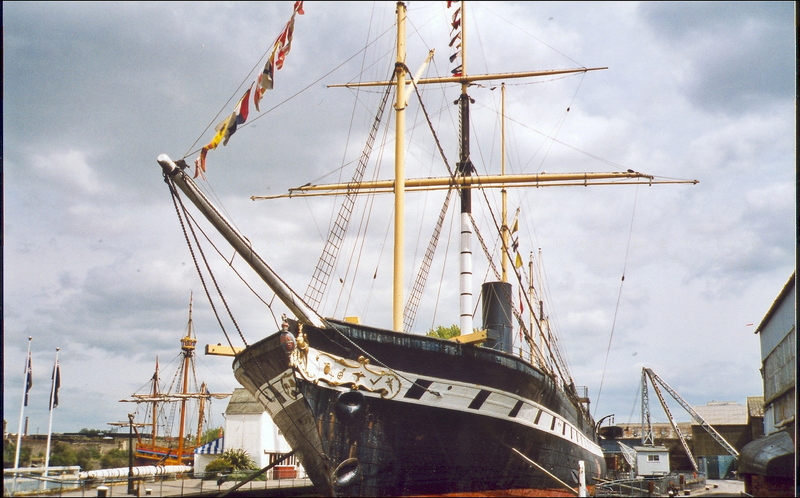 In 2006, an appeal was launched to help restore the masts of the ss GREAT BRITAIN. Two of the masts and part of a third needed to be urgently replaced as they had become badly degraded. The vessel was successful in winning the prestigious Gulbenkian Prize as UK Museum of the Year 2006, which brought with it £100,000 in prize money. This was put towards the costs of the masts. 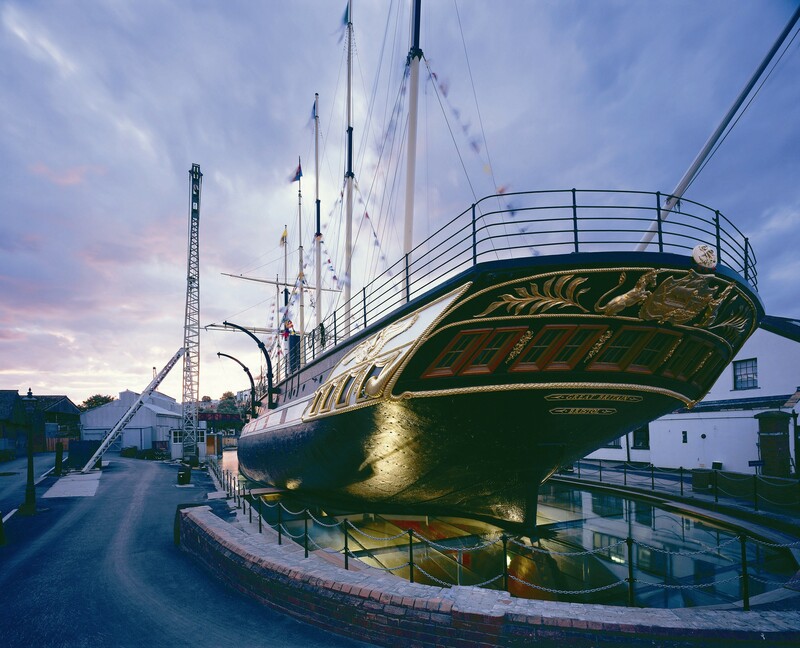 The ship also won two awards at the Museums and Heritage Awards for Excellence 2006 conference in the restoration and conservation category as well as permanent exhibition. The project was also awarded the Civic Trust Award 2006 for accessibility. These Awards follow the relaunch of GREAT BRITAIN after work costing £11.3 million to transform her into a major visitor attraction and museum, as well as to preserve the vessel for future generations. The ship saw more than 160,000 visitors between July 2005 and September 2006. Copyright © National Historic Ships 2018. Photos are copyright National Historic Ships UK, vessels' owners and those who have supported us through our photography competition. Thank you to everyone who has provided images used within these pages. Pictures must not be reproduced without the permission of National Historic Ships UK or of the owners.